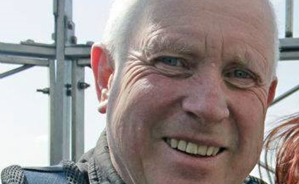 Bolton-born John Gradwell worked as a news sub-editor on North West evening newspapers for over thirty years before taking voluntary redundancy in 2006 to write full-time. His BBC Radio 4 sitcom, Are You From The Bugle? 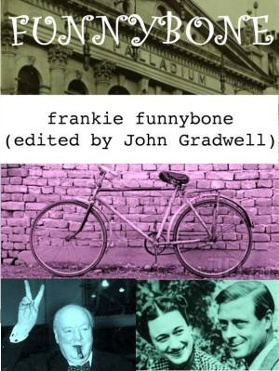 introduced Frankie Funnybone and his famous catchphrase “I’ve come on me bike” to the world. The cast included Peter Serafinowicz, Mark Gaitiss, David Ryall from Outnumbered and Come Dine With Me’s Dave Lamb. John also wrote a Saturday Play which appeared on Radio 4 and has had five crime dramas produced and broadcast by the German radio station WestDeutscherRundfunk (WDR). He is currently working on a sixth . In 2009 John’s comedy, The Boot Room, got into the quarter-final of The Sitcom Trials at the Leicester Square Theatre in London and three of his 15-minute film scripts have reached the third round of The British Short Screenplay Contest. John is an avid follower of Bolton Wanderers FC but despite this manages to keep more or less cheerful. 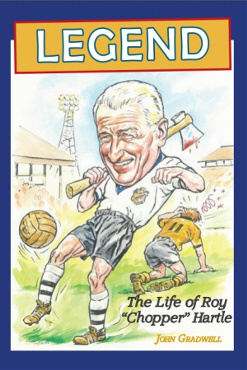 His biography of Wanderers legend and hard man Roy Hartle,was published in 2013 and updated when Roy sadly died after a long illness in November 2014. Copyright © John Gradwell 2018. All Rights Reserved.